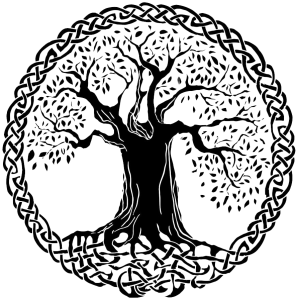 The Celtic tree of life symbolizes harmony and balance. These days, the tree symbol is used for decorations, tattoos and tapestries. Understanding the underlying meaning of this symbol should give us an insight on the ancient culture of Celts. The concept of ‘tree of life’ is found in many cultures including that of Celts. The crosses of Celtic and Northumbrian origins incorporate tree symbols in their designs. The Celtic tree of life represents the concept of forces of nature that converge to create harmony. These trees were so tall and expansive that they could actually form a whole forest with their branches. In the Celtic culture, importance of trees was decided on the basis of their geographical location and more importantly the inherent qualities. Ancient Celts (Druids) believed that the tree of life or crann bethadh possessed special powers. The tribal people of Ireland while clearing a piece of land for human settlement, used to leave a tree in the center; they called this tree the crann bethadh. These people used to hold assemblies beneath the crann bethadh. The tree provided food, warmth and shelter to people. It also provided nourishment to other forms of life such as animals, birds, insects, etc. Therefore, the tree was described as a force which took care of life on earth. The Celts believed that trees were actually ancestors of human beings. The Celts inhabited only those places where such trees were present. Teaching centers of the Druids too were located in quiet and tranquil surroundings of Oak groves. One can find the designs of tree of life depicted in a manner that it is emerging from a pot. The pot, as depicted in Celtic designs and patterns, is a symbol of Mother Earth – the source that nourishes all forms of life. The meaning of this symbol can be interpreted in different ways. Here are few interesting facts about how the symbol is associated with different qualities and phenomena. The balance and harmony prevalent in nature is best symbolized by the tree of life. 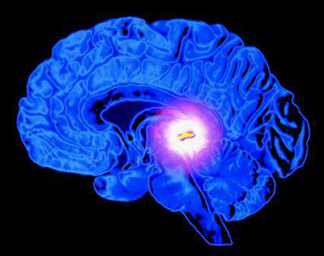 However, balance is maintained due to the interaction of different forces operating in the universe. The Celts attribute the tree of life symbol to qualities like wisdom, strength and longevity. These qualities of trees were the reason behind Celts worshiping them. The Celts believed that their enemies would be rendered powerless if their (enemy’s) sacred tree was cut down. The different meanings associated with rebirth and the tree of life were derived from seasonal changes which the Celts observed in these trees. Generally, the phenomenon of rebirth is associated with Celtic trees. The Celts performed various rituals to mark the changes that a tree of life underwent. The changes observed in these trees were tagged as birth, death and rebirth. Tree of life is the symbol of an entity which connects the upper and lower worlds. Roots of this tree penetrate the depths of the lower world. Branches grow upwards and stretch out to the heavens. Trunk of the tree of life remains on the earth’s plane. As per the beliefs held by Druids, gods in the heaven used to communicate with humans through trees of life. Growth of the tree of life is associated with spiritual growth. As per beliefs held by Druids, some of these trees possessed magical powers and were capable of carrying messages to the ‘Otherworld’. It was also believed that trees possessed the power to bless people with prosperity. Celts worshiped the oak tree for different qualities it possessed. Longevity is one of the qualities which makes the oak a life-affirming symbol. Other traits attributed to the oak are strength, wisdom, power, honor, heritage, longevity, loyalty and stability. The towering height and great expanse of oak trees is associated with qualities like endurance and nobility; the Celts valued these qualities of the oak and therefore, revered it. The oak is known to attract lightning. This characteristic of the tree is considered to be of great importance by Celts. The term, druid is said to have originated from duir, the Celtic name of oak. The oak tree is often compared with the king who shares his bounties with his subjects. This tree is known to bring prosperity to people and other forms of life in its vicinity. It is a story of a giant named Treochair, who came from the ‘Otherworld’ and brought with him a branch of tree which bore fruits of different plants. As the story goes, the giant shook the branch so as to drop these fruits. Seeds of the fruits dropped by the giant were planted in the center and four corners of Ireland. From that time onwards, the trees which grew from the seeds were known as five sacred trees. The Celtic knots, also known as endless or mystic knots do not have a beginning or end. Such designs symbolize eternity or timelessness of nature. The designs of Celtic knots are characterized by roots and branches interwoven to form an endless knot. Tapestries with the symbol of Celtic trees are quite popular these days. The unique designs and patterns of such kind of wall hangings make them a popular choice among buyers. Shades of green and blue are suited for tapestries which depict the tree of life. Price of tapestries with Celtic tree symbols may range from $50 to $500. It depends on the materials used to make them. The designs with tree of life as the theme are becoming popular for tattooing. The Celtic knot tree of life is one such design being used. The tree of life motifs have become popular owing to the positive energy that people associate with them. Trees are revered by people from different cultures across the globe. The message of unity, harmony and balance of nature given by the Celtic tree of life finds universal appeal. It is through these virtues that we, humans can relive our glorious past.